Are you a freelance interpreter or translator? Want to use your talents to give people access to events in many languages? Get paid gigs that you can complete from the comfort of your home! All you need is a laptop, internet, microphone, and headphones. Everything is done through a computer. At minimum, you will need 1 Mbps upload/download speed. For live interpretation, you will need headphones and a microphone. Spf.io (pronounced spiffy-oh) is software that enables people to access events in many languages in a seamless experience right on their smartphone. 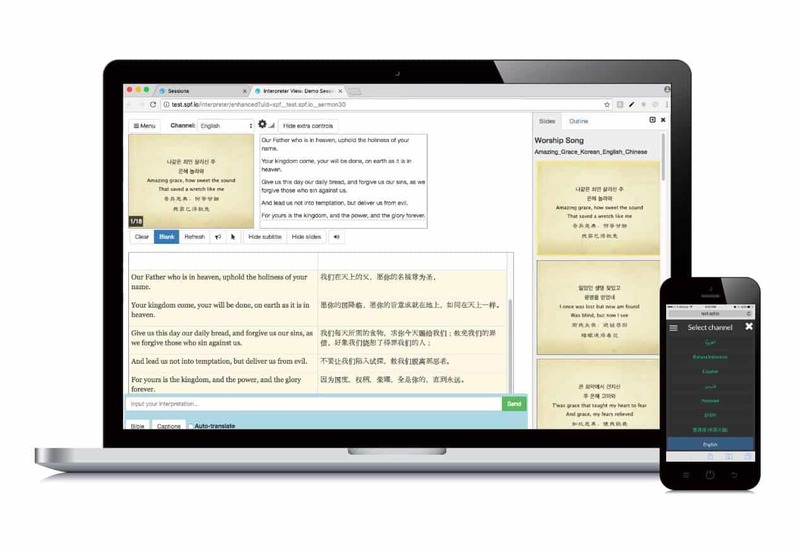 It uses prepared content and live spoken speech to deliver a unified translated and accessible experience. A: There are two types of gigs: document translation and live interpretation. For document translation you will need to complete the work by a certain due date. For live interpretation, you will need to be online and ready to go for the specified time of the gig. You will be notified of available gigs for your language pair. Then, sign up for the gigs you wish to take on! Q: What do I need to do the job? A: At minimum you will need a laptop and a reliable internet connection (1 Mbps upload/download speed) to perform document translation. To do the remote interpretation, you will also need a quiet environment, headphones, and a microphone. A: First, fill out the form below with your contact information. Then you will be contacted with an invitation to get certified on the spf.io platform, provide payment details, and gain access to the paid translation/interpretation gigs. Fill out the form and we’ll get in touch for next steps.